It was with not a shred of reluctance that I returned to Albahaca restaurant for another round of ajiaco con pollo. Oh the things I put up with. 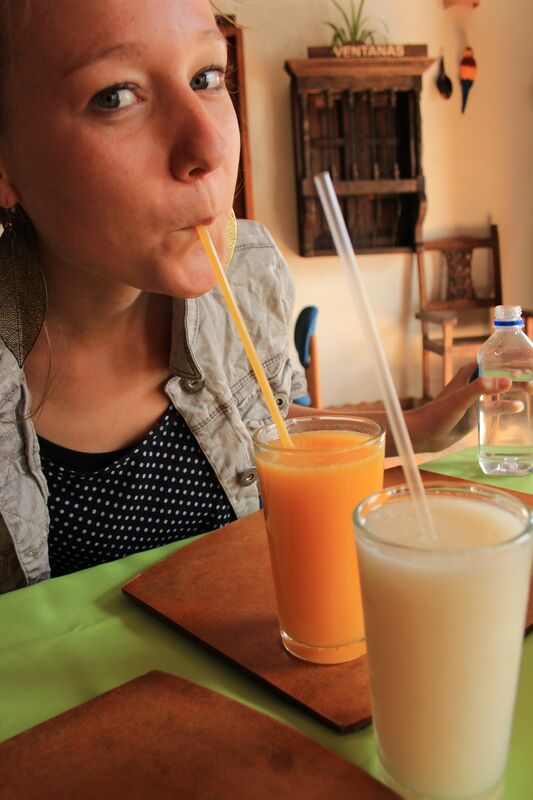 The same expressionless waitress was there to tolerate our presence (customer service just ain‘t the same overseas) even when we asked for guanabana and mango juices. Oh the things she puts up with. 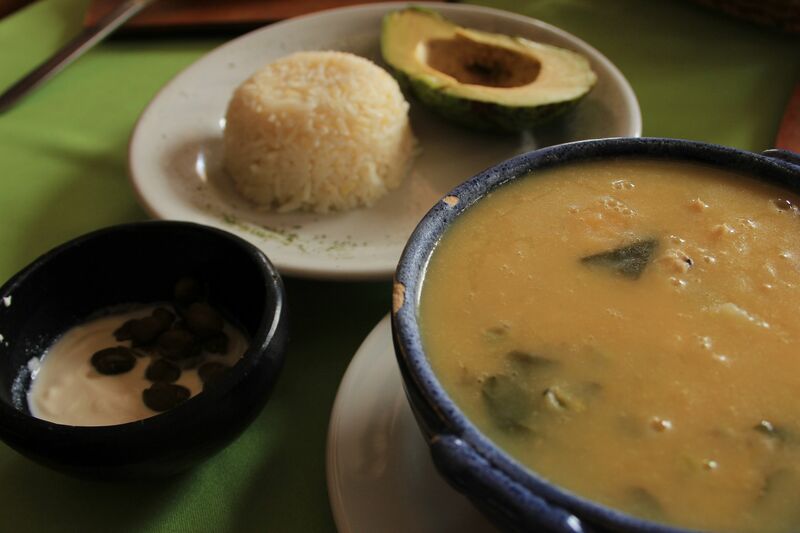 Ajiaco con pollo is a regional specialty, a bowl of thick chicken soup with potatoes and a spinach-like vegetable. It seems to usually come with corn on the cob, but I haven’t seen that yet. 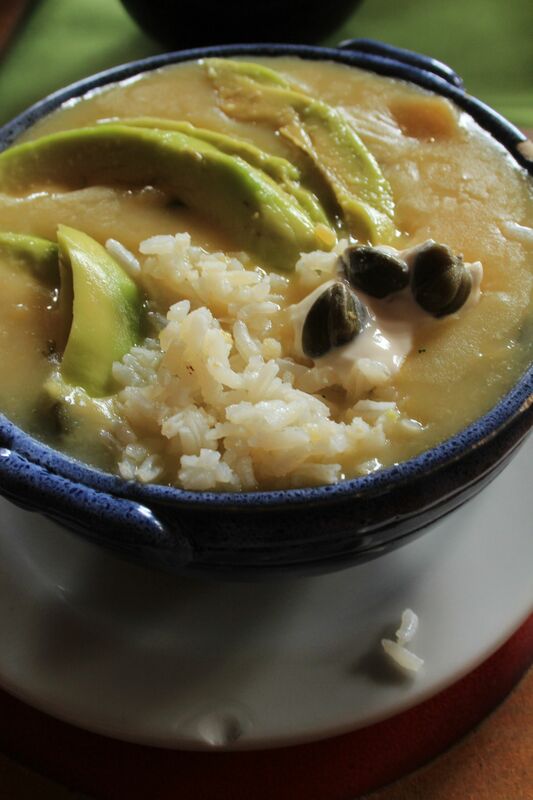 What it has come with is a separate dish with rice and avocado, and one with capers and sour cream. Mixed all together in whatever portions seem appropriate at the moment, it is divine. ← Today’s walk to the thermal pools.